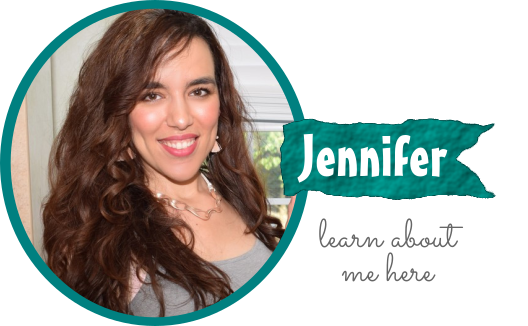 This is a sponsored post written by me on behalf of Serenity Health & Home Decor for PayPerPost. All opinions are 100% mine. Thanksgiving is over and that means one thing… it’s time to start thinking about holiday gifts! 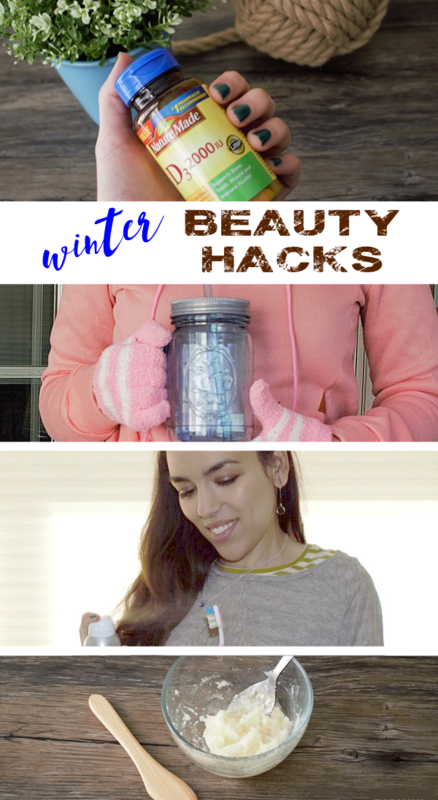 Today I am sharing some fabulous gift ideas for all the people on your shopping list. Whether you need to find gifts for your foodie neighbor or your imaginative niece, you can find ideas in this list for so many people in your life. 1. Reversible Grill/Griddle Got a foodie in your life who is always whipping up fun creations in the kitchen? 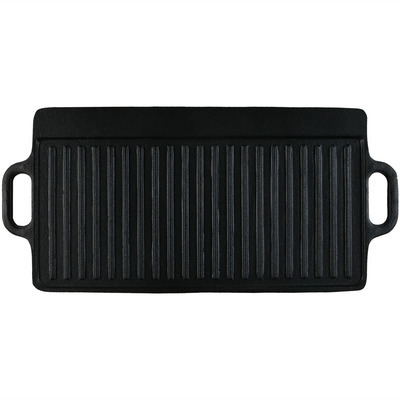 Then the Sunnydaze Cast Iron Reversible Grill/Griddle is a fabulous choice. I love that this griddle is 20 inches long so there’s plenty of cooking space for recipes. You can even use half of it for bacon and the other half for eggs. Breakfast has never been easier! It features a smooth griddle side (perfect for pancakes, eggs, sandwiches, etc.) and a grooved grill side (perfect for steaks, burgers, etc.) Since it’s pre-seasoned, it’s basically ready to be used right out of the box. Plus, the curved handles makes it easy & safe to transport this grill. Made of durable cast iron, this is a high-quality piece that is sure to last for years. Did you know that cooking food in an iron skillet can increase the iron content of your diet? What a fabulous bonus perk! 2. Firewood Log Rack During this time of year, everyone is burning a fire at home to stay warm and add a lovely ambiance to their home. Why not store the firewood in a stylish & practical way! 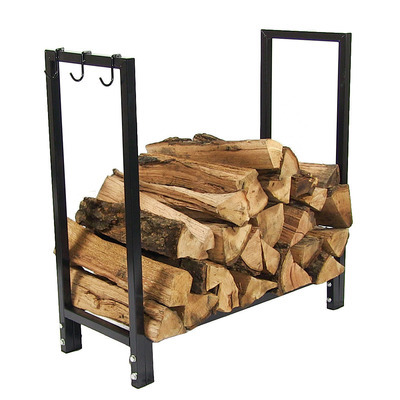 The Sunnydaze 30 Inch Black Steel Indoor/Outdoor Firewood Log Rack is ideal for protecting wood from rot, while keeping rodents & pests away. After all, stacked firewood dries more efficiently (since air can circulate around it better) so this design is geared to keep your wood fresh & ready to burn. Made of a durable steel, this rack is both rugged and attractive. It can be used indoors or outdoors and the optional log rack cover offers even more protection from rain, snow, sleet, etc. Approximately an eighth of a cord of wood can be stored in one rack, so it’s the perfect choice for a campfire, bonfire, wood-fired grill or anywhere else you need a steady stream of dry, ready-to-burn firewood. This is a wonderful gift for anyone on your list that uses a wood-burning fireplace. 3. Table Tennis Table My husband and I love a good game of ping pong and so I am totally considering getting a table tennis table for our garage. It would be so much fun to have a round of table tennis in the evenings after the kids go to bed. 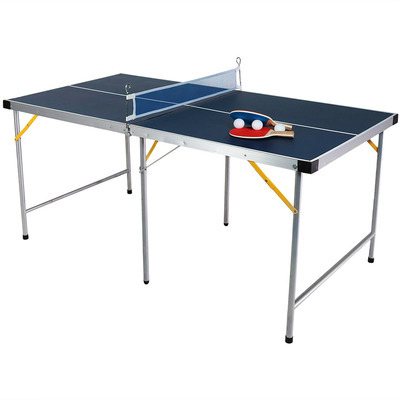 The Sunnydaze 60 Inch Table Tennis Table is perfect for our space since it folds up for easy storage. At only 25 pounds, it can be moved easily and is the perfect size for apartments, basements and smaller rooms. It’s constructed from PVC laminated MDF (a composite material made from recycled wood fibers and resin) so this table is resistant to humidity and will not warp. The table comes with everything needed to get started: two paddles, three ping pong balls and a net. It’s actually fully-assembled… simply unfold it, lock the legs, install the net and start playing. I know my husband is going to love this gift. 4. Rolling Shop Cart Got someone on your list that loves to do woodworking? Do they spend hours in their shop crafting up some neat projects? Then the Sunnydaze Rolling Shop Cart just might be the perfect gift for that person. It comes with a work seat (with an adjustable height for supreme comfort), tool basket and tray. With heavy-duty pneumatic wheels and steel axles, this cart can be easily rolled around the shop. Plus, the plastic tray beneath the seat can hold your tools so it’s really designed to make your life in the shop easier. 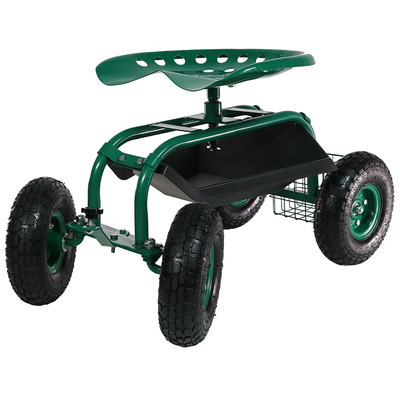 Made from heavy-duty, powder-coated steel, this is a rugged cart that is sure to last! 5. Copper Table Lamp Copper decor is all the rage these days- and for good reason. Copper adds a lovely elegance to a home. 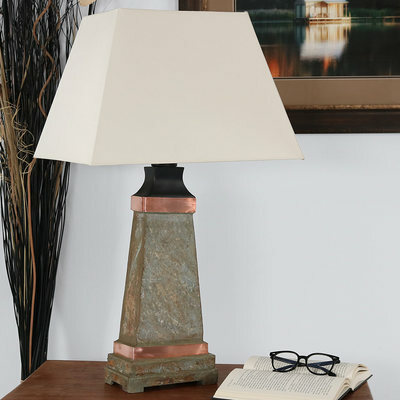 The Sunnydaze Indoor/Outdoor Copper Trimmed Slate Table Lamp can be used indoors or outdoors so it’s a versatile piece that is sure to add a fun metallic vibe to any space. This large 30-inch lamp is made of slate for durability. With a trapezoidal prism-shaped lampshade, this lamp is quintessentially modern. Plus, the glass top protects the bulb & socket so it can be used outdoors. This lamp is a fun way illuminate the patio, the sun room, the front porch, the deck or room in the house. One of my friends recently bought a new house and she spends all her time in her sun room- she even made it into a “Lady Cave” of sorts. I think she will love this Copper Table Lamp for that space! She already has some copper accents in that room. 6. Tabletop Fireplace As the temps dip, a fireplace is always a welcome gift. 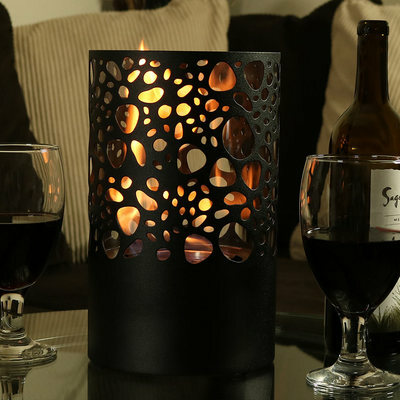 I love that the Sunnydaze Astratto Ventless Bio Ethanol Tabletop Fireplace has a small footprint and is affordable, so it’s a great gift for anyone on your list. This fireplace comes with the base, one double layer 0.4L ethanol fuel burner, 1 tempered glass cylinder and 1 snuffer tool. With a BTU output of 2000, this fireplace will produce plenty of heat for those cold winter nights. The gift recipient is sure to appreciate the warmth that this gift provides! 7. Plant Stand Any decor expert will attest to the fact that there’s nothing better than adding some natural elements to the home as a warm, inviting accent. Therefore, plant stands are a wonderful gift idea for the decor enthusiast in your life. 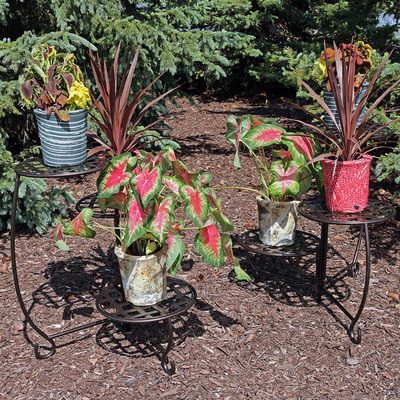 The Sunnydaze Bronze Checkered Triple Plant Stand features two plant stands that add a lovely elegance to the home. With three individual tiers, these stands can hold quite a few of your favorite flowers, herbs or plants. The gorgeous checkered pattern on all 3 bases, along with the scrolled legs, makes this a chic addition to any space. By the way, this is made from steel & powder coated bronze so it can be used indoors or outdoors. 8. Water Fountain The sound of running water can be incredibly calming. For the over-stressed person on your list, gift them a tabletop water fountain. 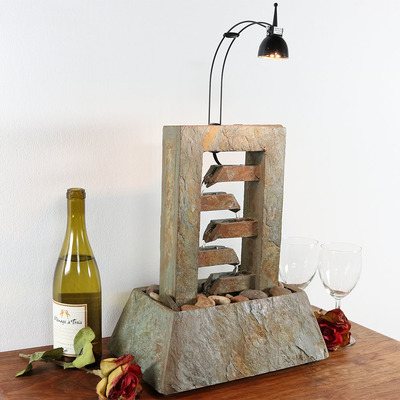 The Sunnydaze 5-Tiered Slate Flowing Tabletop Water Fountain features an LED Spotlight for drama and visual appeal. Perfect for a kitchen or living room, this fountain has a modern 5-tier design and is sure to add extra balance to any home. Watch the water cascade during the day or admire its beauty at night with the included LED light. There is no special assembly or plumbing required- simply plug it in and it’s good to go! It comes with one tabletop fountain, decorative river rocks, a submersible electric pump, one LED light, an electric transformer, and foot pads to safeguard your table’s surface. 9. Kid’s Play Tent Kids love to engage in imaginative play! Whether they’re slaying dragons or setting up a royal kingdom, a great tent can really bring their creativity to life. 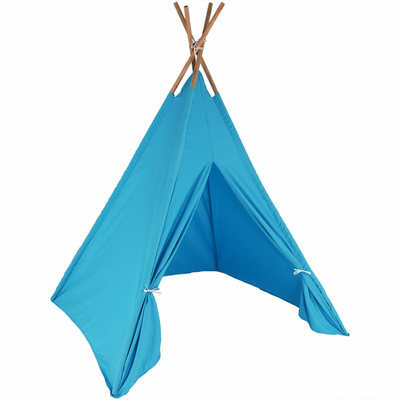 The Sunnydaze Large Polyester Kids’ Teepee Play Tent is perfect for any kids on your shopping list. It comes with a carrying case and is the perfect addition for bedrooms, play rooms, living rooms and more. At 5 feet tall, this tent is sure to provide plenty of room for your little munchkins to get inside with their toys. The tent can even be used as a reading space, homework nook, or a place to lie down. The tent is easily cleaned with a damp cloth (important for any kid-related product) and can be taken apart easily (essential for storage). 10. Home Security Safe For the individual who has a lot of fine jewelry or pricey collectibles, a home safe is a smart gift idea! The Sunnydaze Steel Digital Home Security Safe comes with a removable shelf & programmable lock and is designed to prevent unauthorized users from gaining access to the safe’s contents. 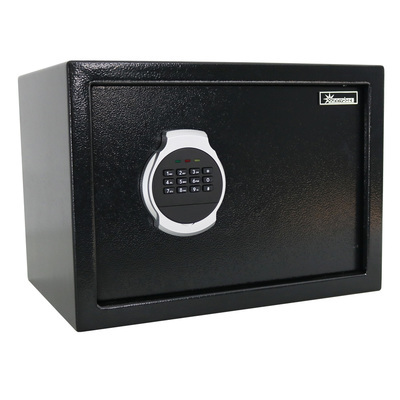 With 2 mm-thick steel sidewalls, a 4 mm-thick steel door and a metal handle, this safe is drill-resistant, tamper-proof, rust-proof and impact-resistant. These are all important factors when your most prized possessions lie inside. It can be used to store jewelry, family passports, legal documents and cash. It includes rechargeable batteries and two override keys. With a newly designed solenoid mechanism and live-locking bolts, this safe is equipped with the latest technology for protection against theft. For the holidays, this safe lets you give the gift of peace of mind! I hope you found some good ideas in this list for the people on your holiday shopping list. All of these items are both functional and attractive, making them a smart gift choice. 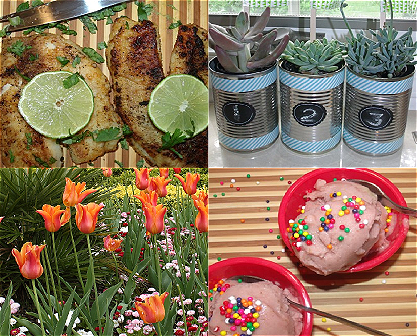 For even more gift ideas, check out Sunnydaze Decor Products for a wide variety of home and garden products. They source the most unique, beautiful products from around the world. What makes them unique is that their products are designed to bring a peacefulness & relaxing vibe to the home. Their fountains, fire pits and hammock chairs are some of the quintessential best-sellers that add a sense of calm to the home. How many people are you shopping for this year? Did you find anything on this list that you could use as a gift for someone on your list? Which of these Sunnydaze Products is your favorite? That ping pong table is super cool. We have a Foosball table in our basement, so that would go with the theme perfectly! I totally want a Foosball table, too! I noticed that Sunnydaze Decor Products also carries those! My oldest loves playing ping pong. I wouldn’t consider it part of the decor but it would make a great holiday gift for him. I like a lot of these ideas. That tabletop fireplace looks cool. I need to pick up a safe as well for our important papers. Yes, I need to get a safe too! I’m shopping for a few folks this year. These really are some great gift ideas and I’ve even received a few of these and STILL use them. That reversible griddle / grill is a great gift. I received one a few years ago and use it for pancakes, bacon, steaks, etc. A co-worker gave me one of those tabletop fountains for Christmas several years ago and it’s so relaxing. I keep it on my desk at work. These are all lovely ideas. I tend to stick with more practical gifts and it looks like you have the same idea there! You have a great selection of holiday gifts here. I never know what to get my in-laws for the holidays. They have so much stuff and always say don’t buy anything, but don’t really mean it. My granddaughter would love that kid’s play tent. I think I would like the tabletop fireplace. That tabletop fireplace looks amazing. And I always wished I had gotten the kids a tent for their rooms when they were little. Yes, a tent is so much fun for kids! They can use it in so many different ways! Love the kids play tent. If my house were big enough, I’d totally get one of these, though I know my hubby would probably try to convince me to let him DIY it. 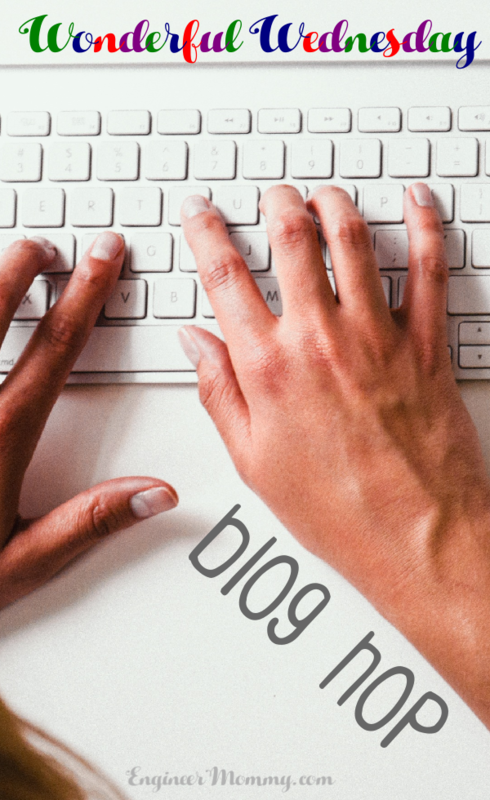 Such fun ideas that most people don’t already have! Those are great gifts! I can really see many of the people on my list being checked off with your list! Christmas shopping done right! These are great gift ideas! I’d love to have several of these things. I think my daughter would love that tent! I will have to add the Sunnydaze Astratto Ventless Bio Ethanol Tabletop Fireplace to my Christmas wish list. The kids would love the play tent. A little something for everyone! My kids would love the table tennis. I would like that griddle! A fireproof safe is a must in every house. We invested in one after we got our first home. The peace of mind knowing your important documents are secure is priceless. These are some really useful gift ideas. We fancy the table tennis table though. Nice to have it in the garage and have a nice game once in a while. I need a pingpong table for my son, we uses our dining table when we play lol. The reversible griddle would be awesome to have. These are all such great gift ideas! Having a safe is so important so that’s an awesome one, wouldn’t have thought of that! Table tennis! What fun that would be. I need to get some of these items for our home for the holidays, how fun!